It is quite clear where the rampant anti-Semitism comes from, but not to the Dutch government. Anti-Semitic events and their impact continue in the Netherlands. A woman was recently assaulted for displaying an Israeli flag from her balcony in east Amsterdam. She suffered a concussion, fractured ribs, and contusions to her face. The criminals called her “a bloody Jew”, threw a burning stick at her, and hit her in the stomach. Men had threatened her in the past “that they would slit her throat”. Police have been stationed outside her home to protect her. A Molotov cocktail was thrown [at the Israeli flag on her balcony], which, however, fell on the balcony of the Turkish neighbor below, who flew a Palestinian flag. Another woman who had an Israeli flag on her balcony got a stone through her window. Later, a Molotov cocktail was thrown at her balcony, which, however, fell on the balcony of the Turkish neighbor below, who flew a Palestinian flag. At least fifteen to twenty Jewish businessmen, after having received threats, have hired personal bodyguards. Roland Kahn, the owner of a fashion clothing chain, has told the media about the many threats he has received. “I am not only called a dirty Jew, and threatened with death, but my shops have also become a target. Both my daughter, who lives in the United States, and my girlfriend, who has a Muslim background are also threatened. A number of Moroccan employees are menaced as well, because they work for me”. In the long run, however, the statements of Chief Rabbi Jacobs on a TV program and to the media may bear a greater impact. He declared that a growing number of Jewish families want to leave the Netherlands because of the increase in anti-Semitism. The Chief Rabbi explained that they feel unsafe and are being threatened and insulted on the streets. He quoted a particular Jewish individual who said, “My parents have suffered enough. Should I also suffer?” Jacobs added that he had wondered whether it was safe for him to remain in the Netherlands, but concluded that he must stay, because the captain is the last to leave the ship. The Jewish Telegraph Agency subsequently interviewed Jacobs, allowing his statement to reach many Jewish communities around the world. The issue that the future of Jews in the Netherlands is in doubt is not a new one. A single paragraph in my 2010 book, The Decay - Jews in a Rudderless Netherlands led to a major Dutch public debate. I quoted Frits Bolkestein, formerly a leader of the liberal party, Defense minister and EU commissioner, one of the country’s most senior politicians. He had said to me that the Jews should realize that there is no future for them in the Netherlands. They should therefore advise their children to immigrate to the United States or Israel. Bolkestein arrived at this conclusion as he foresaw a problematic future for the Netherlands due to the failed integration of mainly Muslim immigrants and the problems that would create for those identifying with Judaism. In the meantime, Muslims continue to be the dominant participants in the ongoing anti-Israeli demonstrations. Abdoe Khoulani, a Muslim member of the municipal council in The Hague, has expressed – on Facebook – the hope that the “Zionist settlement Israel will be hit by a tsunami from Allah”. He also hopes that David Ben Gurion, Israel’s first prime minister will “burn in hell.’ Earlier, he had expressed support for the Muslim terrorist movement ISIS. 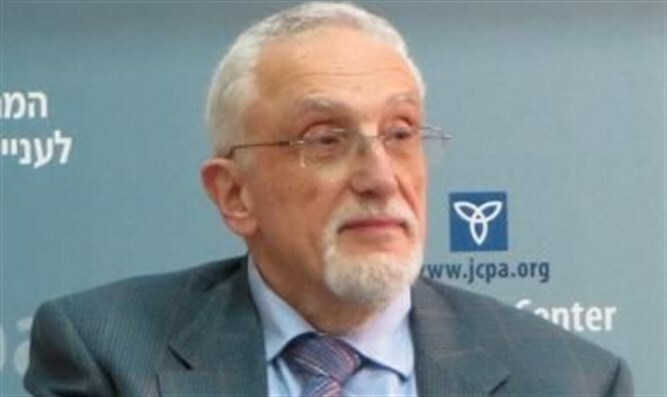 The umbrella organization of the Jewish community, CJO, asked for a meeting with the Prime Minister. At the meeting, two other ministers were present as well. The resulting joint statement that was published distorted the truth at the expense of the Jewish community. It said that events in the world may cause tensions between communities. If the statement had been truthful, it would have said that the root cause of the tensions in the Netherlands is the aggression and hatred toward the Jewish community that originates mainly from parts of the Muslim community. The statement also said that “democracy” means that demonstrations should be allowed to take place. The text could have been worded more fairly by adding “even if these demonstrations are indirectly in support of a genocidal Muslim movement.” The statement also praised, by name, a particular Muslim organization which calls for Muslim tolerance of Jews. The joint text, however, did not condemn either individual Muslims or the variety of Muslim organizations which support the Islamo-Nazis of Hamas. Like elsewhere in Europe, recent events in the Netherlands are a foreboding of an unpleasant future. What has come to the forefront with respect to the Jews and Israel can be described as a prism on contemporary Dutch society. The problems deriving and developing from parts of the Muslim communities are even bigger than previously thought. In the past, jihadis would leave the Netherlands to train and fight in the Middle East. Now Islamo-Nazis are blatantly visible within the Dutch public domain. So-called “moderate Muslims” have marched in demonstrations supporting one of the several ideologically genocidal Muslim movements in the Middle East. Furthermore, among Dutch Muslims, there is very little criticism of the dreadful events emerging from their own communities. Several Dutch political parties remained silent about the public calls by Muslim demonstrators in the Netherlands for murdering Jews and avoid, as much as possible, to touch upon the issue of the mass murders committed by Muslims abroad. To gain favor with Dutch Muslim voters plays an important role in this. These events are signs of the areas of growing moral decay within the Netherlands, whose international image, in the long run, will eventually mirror its increasingly corroded domestic reality.